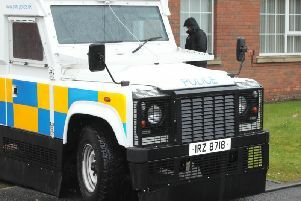 A 31-year-old man has been charged with the attempted murder of a man in Portadown on May 4 this year. Christopher Barry Carlisle, Lakeview Court, Craigavon, appeared today (Friday) at the local magistrates’ court. He was charged with the attempted murder of a man and also possession of an offensive weapon, namely a knife. No bail application was made on his behalf and he was remanded in custody to appear in court again by way of videolink on May 13. Police were called to the scene of the attack in Abercorn Park shortly before midnight on Wednesday.